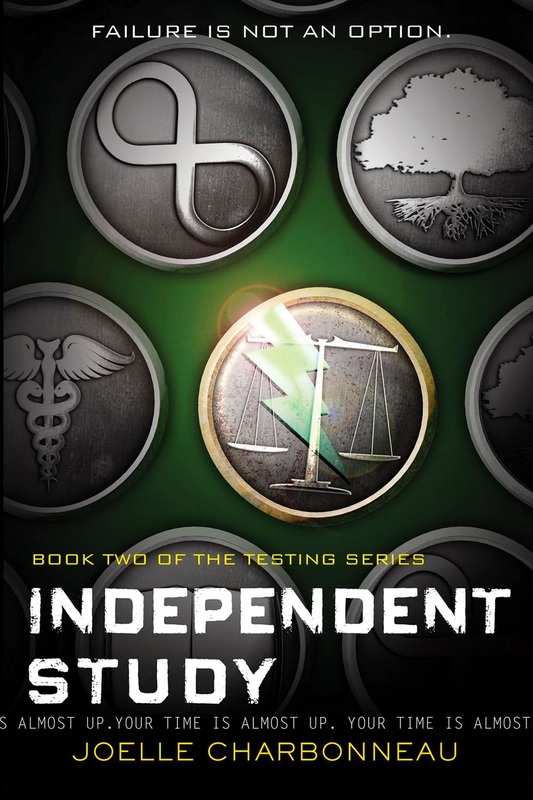 Independent Study, the sequel to The Testing, has been out for a while but it took a reminder that I need to pull together this year's summer reading list to get me to read it. As I mentioned in my review of the first book, this series is very similar to The Hunger Games. Since I have many students wandering around in a post-Katniss stupor, wondering what to read next, I wanted to add Joelle Charbonneau's series to the list. Cia has entered university, but the events of the Testing continue to haunt her. She has brief memories of the past which make it difficult to trust anyone, including her boyfriend, Tomas. Cia finds herself the target of scrutiny from administrators and jealousy from her peers. Can she avoid punishment while trying to find a way to end the Testing for good? I previously questioned how Cia managed to remain such a Pollyanna after a series of tragedies and hoped that Charbonneau would explore Cia's dark side in the second novel. I guess I will have to wait for the final book in the trilogy for that, because Cia continues to remain optimistic and moralistic throughout Independent Study. Her constant response to anyone who questions her is, "It's the right thing to do." Towards the end of the novel she learns that things aren't always black and white; eventually, Cia will have to make decisions that hurt some while benefiting others. While I find it unrealistic that Cia does everything perfectly, I like that my students can have her as a role model. There's always room in my library for a confident girl who excels in math and science. I read Independent Study in one day and am eagerly awaiting Graduation Day, which will be published in June. Even better, with this and its predecessor on our summer reading list, I will have plenty of people with whom I can discuss the series.